Smashwords is again running their Read An Ebook Week until the 7th March. 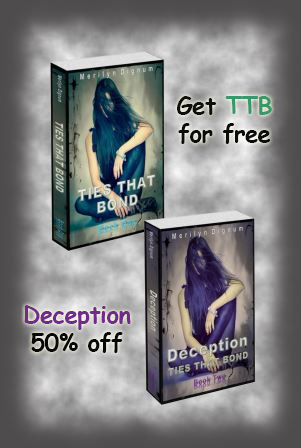 Why not take this opportunity to get Ties That Bond for free and Deception for 50% off? Just click on the Smashwords link on the right (you may need to Ctrl + click for it to open in a new tab), go to either book page, and follow the instructions on what code to use at checkout. I hope you take this opportunity and enjoy the books. Book 3 will be releasing 2015.